B.E.R.G.S. 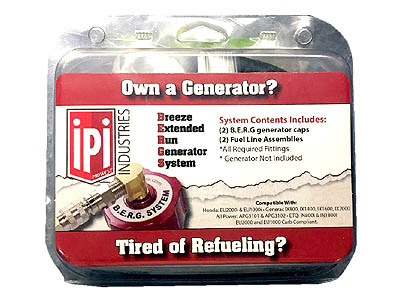 Extended Run Generator Refuel System by IPI Industies The Mower Shop, Inc. The B.E.R.G.S. 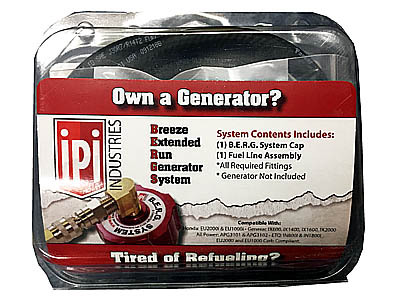 extended run generator fuel system allows you to supplement your generator's factory fuel capacity with a stable vacuum powered fuel supply. 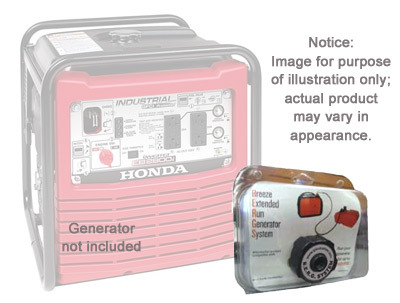 • Run your generator(s) in excess of normal operating hours without refueling. 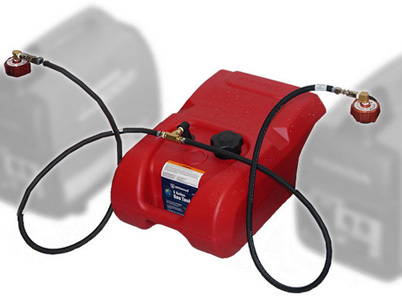 • There is no priming or pumping needed. 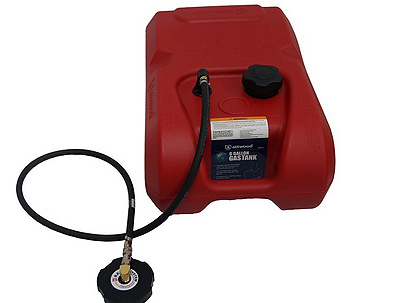 • Your reserve fuel tank can be placed above or below your generator without affecting fuel flow. 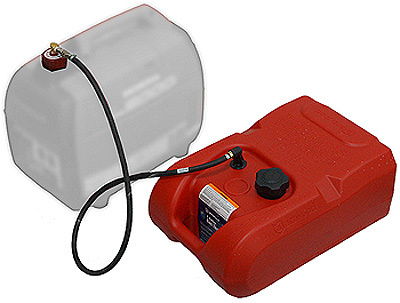 • You can safely and easily add to your generator's fuel supply without touching the generator itself. 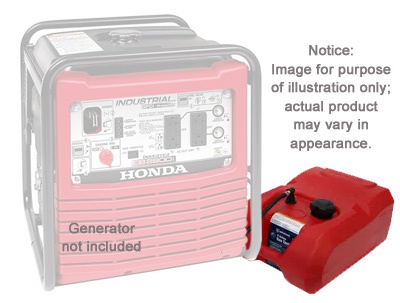 All of this with ABSOLUTELY ZERO MODIFICATIONS to your generators. The B.E.R.G.S. system is a SIMPLE PLUG AND PLAY SOLUTION and it's MADE IN THE U.S.A.!